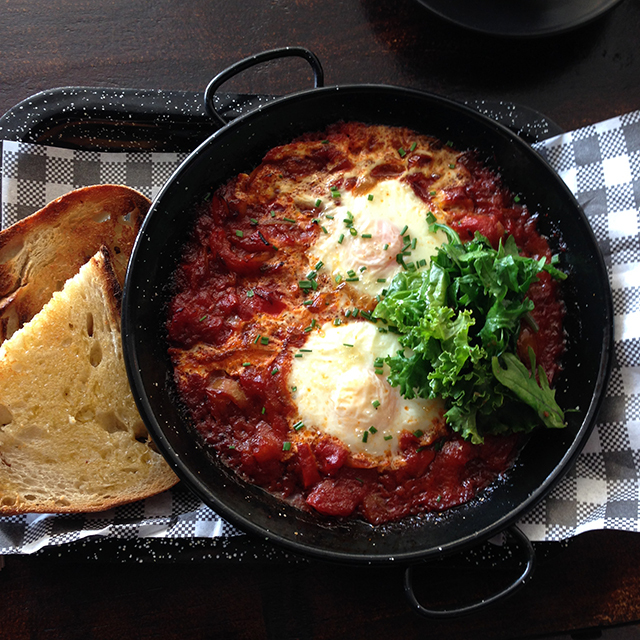 I find it hard to go past a Shakshuka, especially one that is labelled as such rather than the more generic “baked eggs and tomatoes”. It holds more promise, I think. This was superb with just the right amount of heat, without feeling like I was sweating off my freshly applied make up. I’ve been to Three Bears Kitchen twice now – the above snap was a “Stop! Nobody touch anything til I take a photo!” moment with my Ladies’ Breakfast crew. Yes, I’m that guy girl. Bottom left was my porridge (don’t worry, you’ll get the close up below); the two top dishes are the Bacon Butty filled with endless barbecue sauce, apparently; and the other one was the Green Machine: Poachies, avo, greens and sprouts. 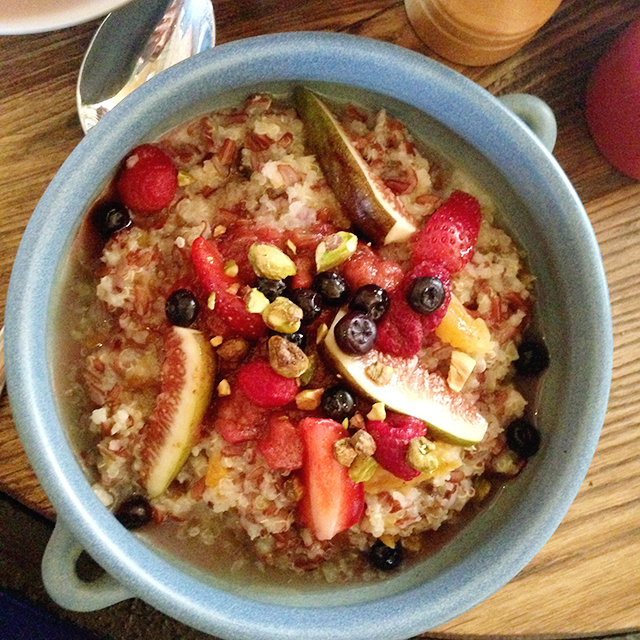 When in a cafe named Three Bears Kitchen, one cannot avoid the porridge on the menu; here it is a totally modern mix of red rice and quinoa with almond milk, rhubarb, berries, figs & pistachios. 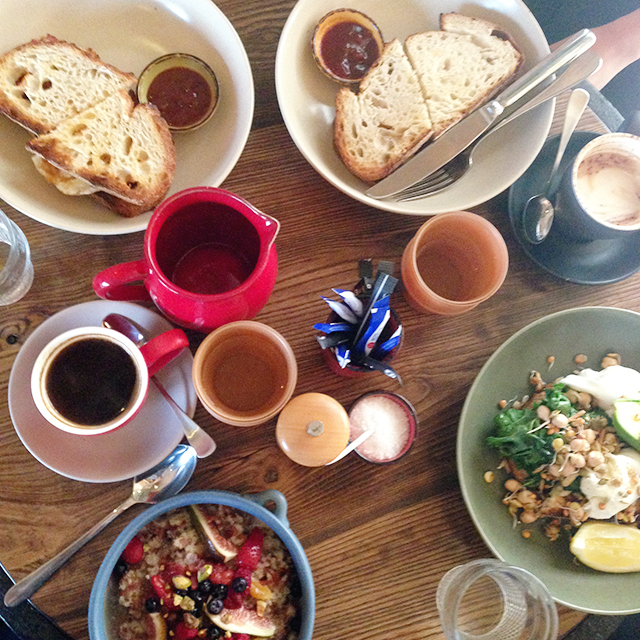 The coffee was on point too – I enjoyed a couple of long blacks and no complaints were made by the milk coffee drinkers. I didn’t take a snap of the interior – can’t photo, eating – but it’s obvious that the people behind the beautifully-decorated Rustica had a hand in the striking, faux-broken down industrial stylings. 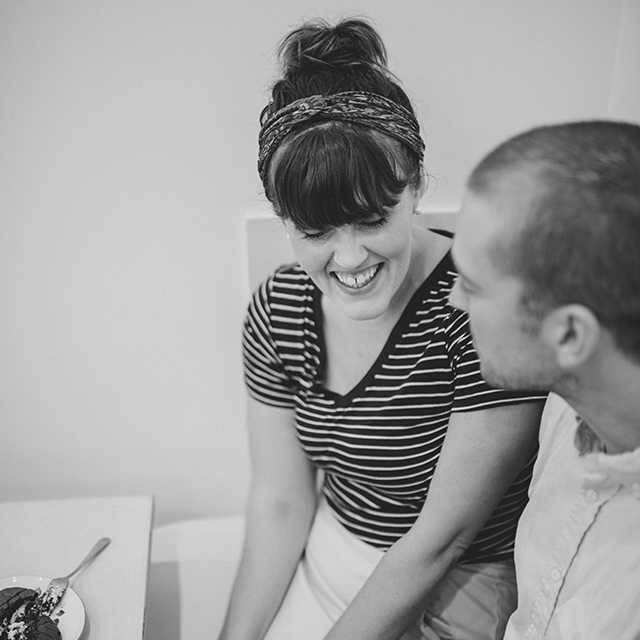 Welcome to Newcastle, Three Bears Kitchen! Photo note: All by me, on my trusty iPhone & slightly touched by ABM Actions.